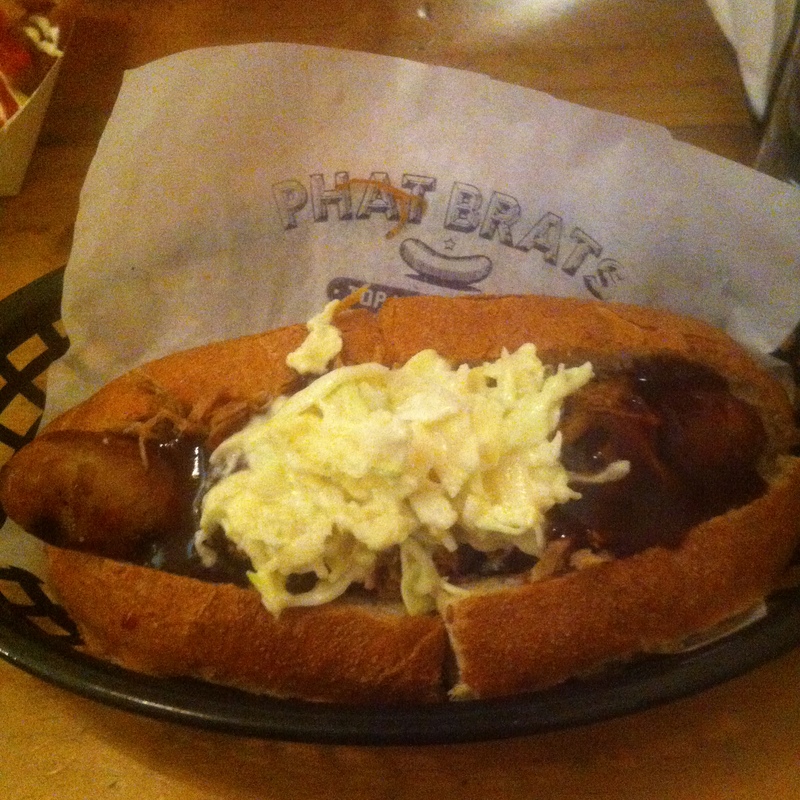 A.T and I decided to eat at Phat Brats because he has always wanted to go back after trying it once some time ago. 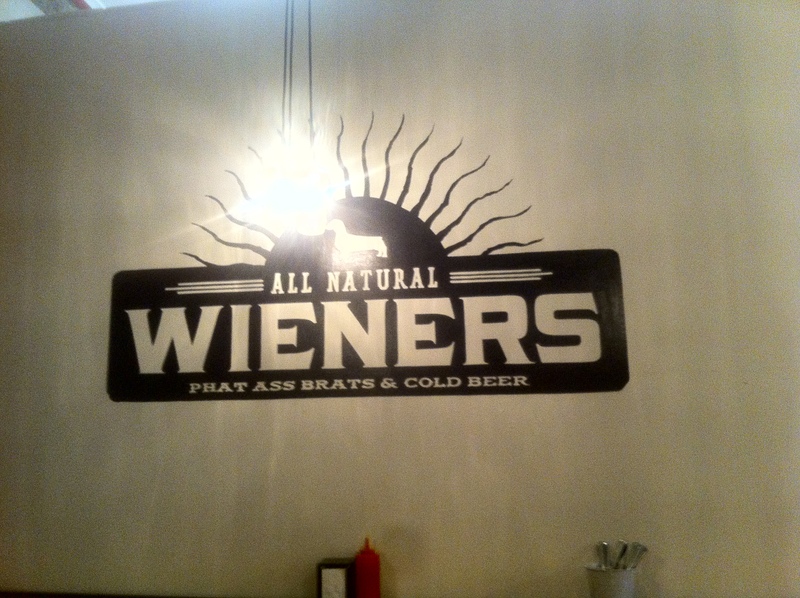 Phat Brats has high ceilings and brick walls, emitting a casual and rustic feel. 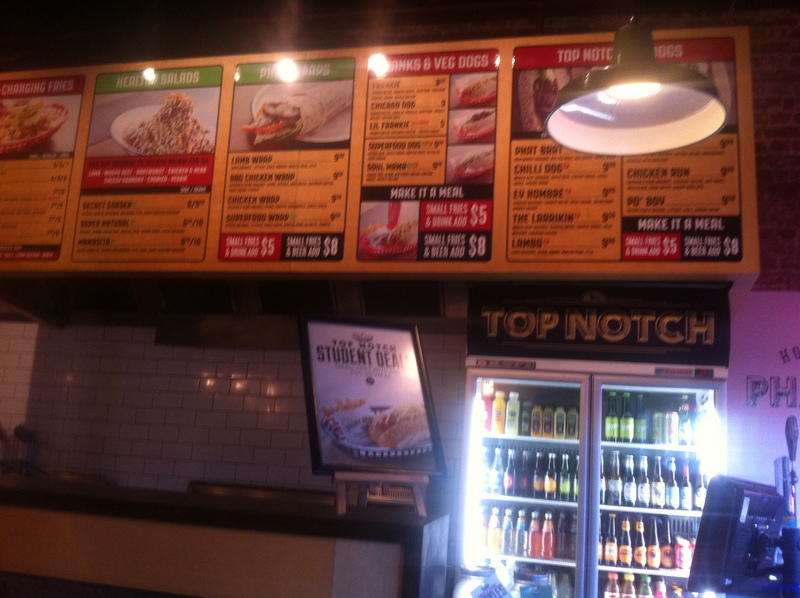 The worker was patient, friendly and very helpful with the menu. The food is quite average, but definitely worth a try if you’re around the area and in the mood for fast food that isn’t your typical Maccas or KFC. Chilli fries were quite tasty and great to snack on in between conversations. The fries were similar to schnitz chips; they were flat and wide, creating a nice crunchiness and the right amount of potato inside so it wasn’t sickening. 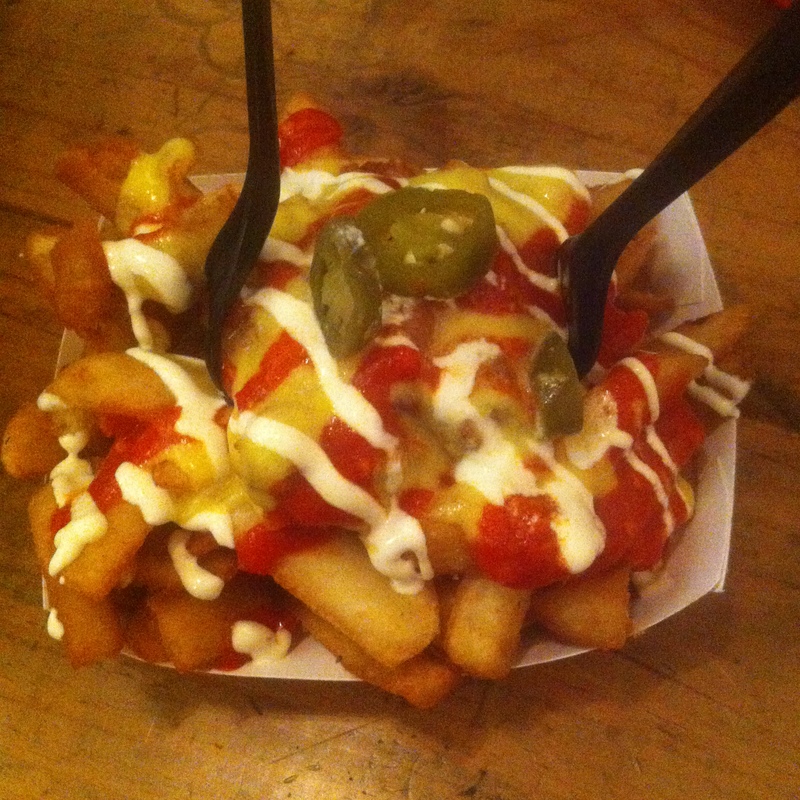 The sauces, cheese and the beef mixed well especially with this particular cut of fries. 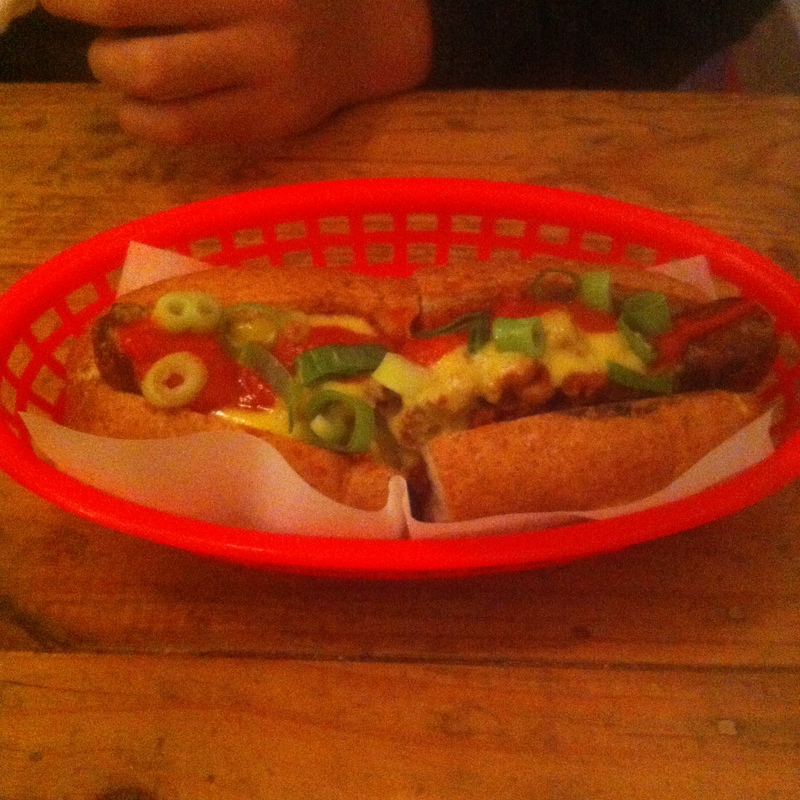 The Chilli Dog was very boring, there wasn’t anything in the hot dog that stood out and made it memorable. Everything was rather average (though the meat was nicely cooked, quite soft and not dry at all!) and there wasn’t enough spice for that extra kick. The bread roll wasn’t stale but it wasn’t entirely soft and fresh either… just mediocre. 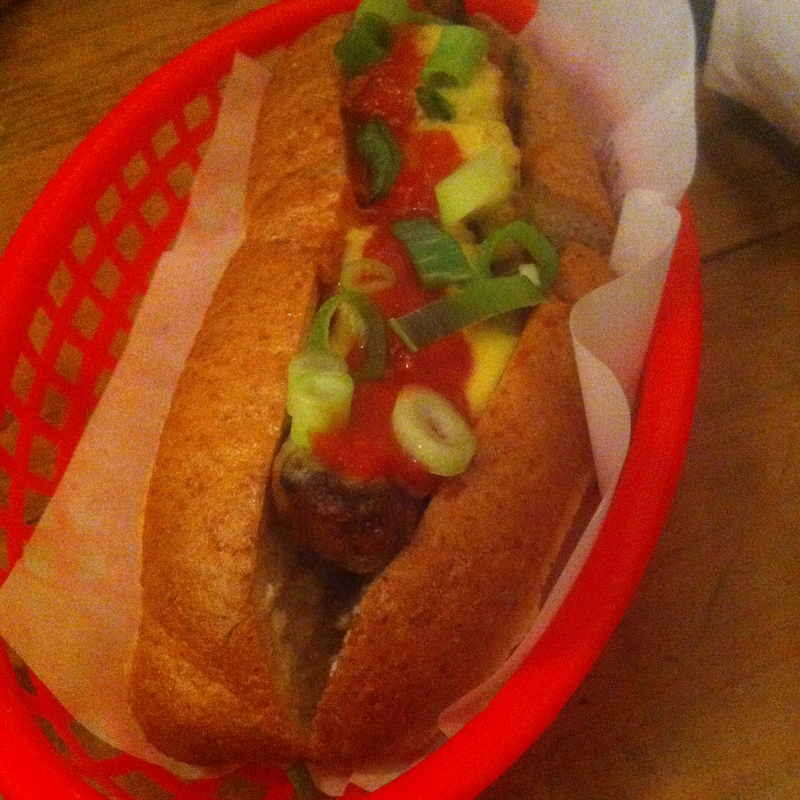 The fillings they chose for The Phat Brat creates a great combination though! The sausage was meaty and tender, slaw added texture and moisture with the added BBQ sauce, matching well with the soft pulled pork. 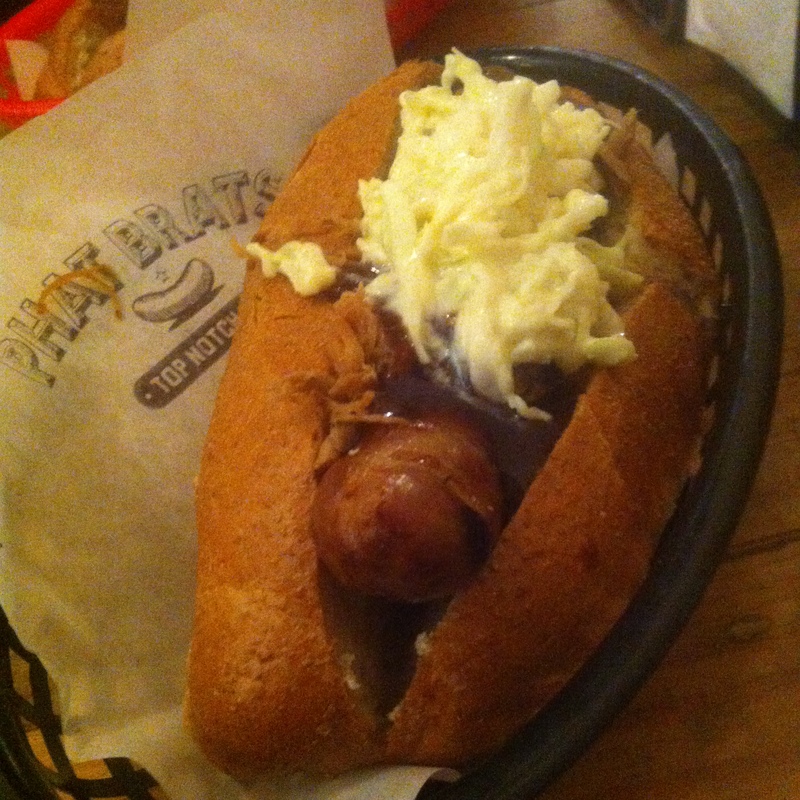 The slaw was the hero of the dish for me, without it, The Phat Brat would’ve been very plain.